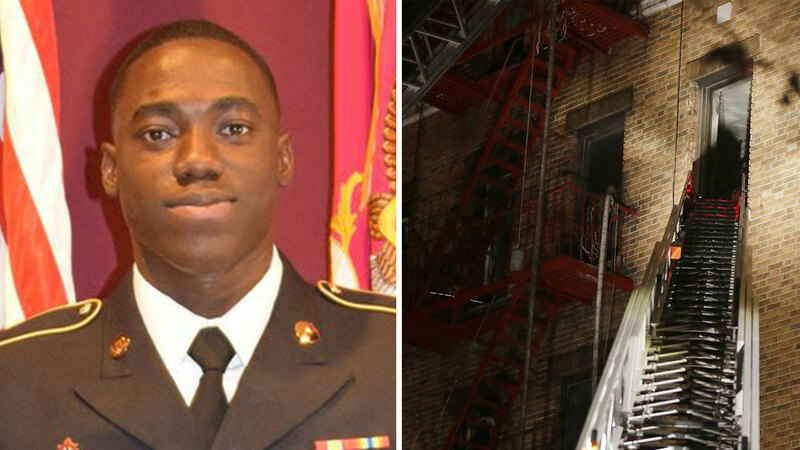 THE BRONX, New York -- A New York Army National Guard Soldier who died in the Bronx apartment fire that killed 12 on December 29 is being hailed a hero for saving four people's lives. Pfc. Emmanuel Mensah initially escaped the deadly fire but reentered the burning building at least three times to rescue other residents and family members, New York Police Department detectives reported. When firefighters later entered the building, they discovered Mensah's remains. Based on his body's location, emergency responders determined Mensah died looking for more people to rescue. The fire started in the kitchen of a first-floor apartment as a 3-year-old boy was playing with the burners, FDNY Commissioner Daniel Nigro said. It's the worst fire tragedy in New York City in at least a quarter of a century. The victims killed were seven adults and five children -- ranging in age from 1 to 63. Mensah joined the New York Army National Guard in December 2016 and recently returned home to the Bronx from military training in Virginia. He was slated to begin serving as a wheeled vehicle mechanic this month with the National Guard's 107th Military Police Company at Fort Hamilton in Brooklyn. His family is originally from Ghana, and Mensah was a permanent legal resident. Private Emmanuel Mensah was a first generation immigrant, a soldier, and a New Yorker. He gave his life rescuing his neighbors in the Bronx fire. His heroism exemplifies the best of our city. Rest in peace. Staff Sgt. Ruben Martinez-Ortiz, who recruited Mensah, said he was an excellent soldier.